“Overlord” is one of the best video game movies ever made, and it’s not even based on a video game. And now, check out “Overlord,” the ultimate Nazi zombie movie. The genre goes back at least as far as Ken Wiederhorn’s “Shock Waves,” which starred Peter Cushing as a mad scientist building an undead reich on an uncharted island, but it really came to life (pun intended) in video games. By the time the “Wolfenstein” games introduced Mecha-Hitler as a level boss, the idea of supernatural monsters who were already monsters to begin with has been a go-to storytelling device for one game after another. “Overlord,” directed by Julius Avery (“Son of a Gun”), tells the story of a squad of World War II soldiers who are dropped behind enemy lines and tasked with destroying a radio jamming tower before sunrise. Sounds simple, right? Well, don’t forget: even before the zombies show up, it’s still World War II, so this war is both literal and figurative hell. Our heroes are Boyce (Jovan Adepo, “Fences”), so innocent he literally refuses to hurt a mouse, and Ford (Wyatt Russell, “Lodge 49”), an explosives expert who’s got a permanent hard stare. Not many soldiers survive the drop, but Boyce and Ford are joined by their commanding officer Rensin (Bokeem Woodbine) and fellow grunts Tibbet (John Magaro, “Marshall”) and Chase (Iain De Caestecker, “Agents of S.H.I.E.L.D.”). Along the way they join forces with a local scavenger, Chloe (Mathilde Ollivier), and discover that destroying the tower is going to be a lot more complicated than they thought. Because, obviously, mad scientists and zombies. The opening of “Overlord” is gigantically horrific. We are shoved alongside our heroes in a giant metal cylinder, flying towards a deadly destination, and when the hatch blows off and bullets burst from the floor, we see an inferno outside. Cacophonies of mid-air explosions, the red skyline of Hades, and as we fall with Boyce down to a lake below, we get a potent, point-of-view sense of vertigo. Even when he lands, he has to emerge from the ghostly cocoon of his wet parachute and venture into a nightmare forest full of inexplicable offal and hateful murderers called Nazis. “Overlord” is overloaded with action, violence, and the maddest of mad sciences, and for the most part, Avery organically graduates to each new level of nightmare. 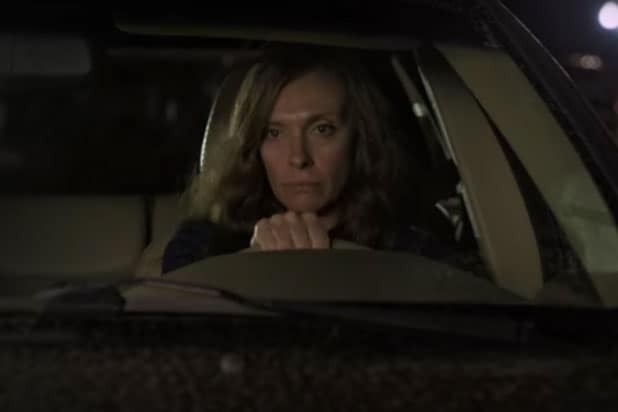 The beginning explodes, and for the next hour the movie pulls itself back together, getting its bearings, and trying to pretend it hasn’t noticed all the tell-tale signs of campfire monstrosities peering behind cracked doors. It moves so organically from action movie to war drama to horror movie that you begin to realize how little difference there already was between them. The film grows and grows and grows in intensity until we finally get a gruesome sightseeing tour of everything that’s been withheld from us, in a fright house of gory novelties, none of which should be ruined in advance. It’s worth the price of admission alone, and one might never think of their spinal cord quite the same way again. Where “Overlord” falters is right after this sequence. The audience — all of us primed for escalating action and anxiety — are suddenly expected to take a step back and revert to old school World War II genre tropes, after we just saw some truly unspeakable stuff. Once the vault of horror has been opened, it’s awfully hard to go back. And yet the plot demands it, so we kind of have to soldier through and wait for “Overlord” to get back on mission. Once it does, it’s glorious. 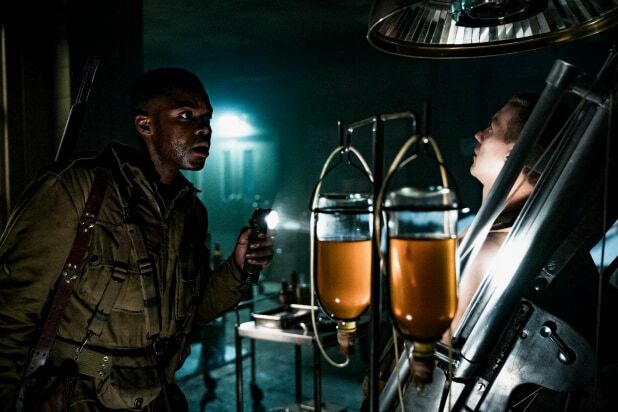 A few hiccups aside, “Overlord” is an impressively huge B-movie, the kind of material that Roger Corman would have whipped out for less than a million bucks back in the 1980s, but now gets the blockbuster treatment. Fortunately, the script by Billy Ray (“Captain Phillips”) and Mark L. Smith (“The Revenant”) keeps most of the bugnuts cult-movie weirdness intact, with eccentric characters, extreme emotions and a twisted sense of humor. If “Overlord” was a video game, it would be a great one. It just happens to be a movie, and it’s a great one of those too. It hits all old-school genre tropes so hard that they make new noises, and infuses cheesy grindhouse thrills with all the “you are there” intensity of a great interactive experience. It may not have much to say, but it says it loud and clear, and more genre movies should follow its ambitious, bloody, fist-pumping, emotionally draining example.